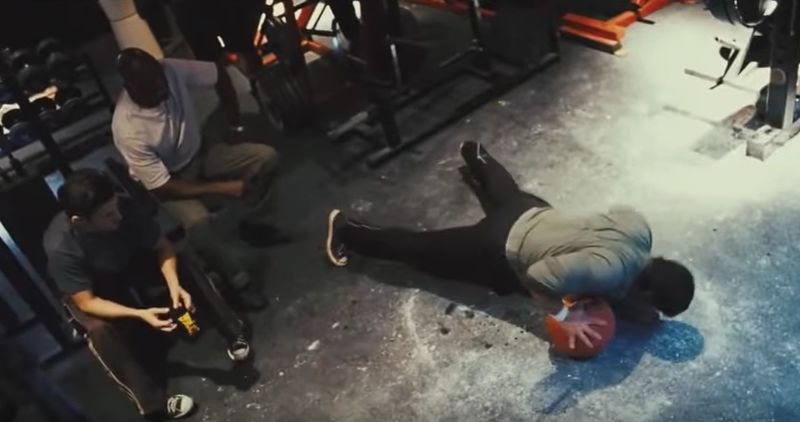 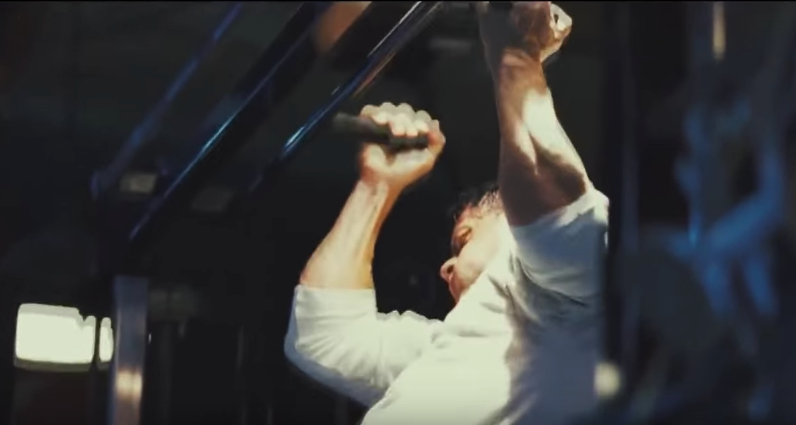 The best part of many action/superhero/sports films is arguably the training montage scene, in which we get to see, in compressed time, the protagonist prepare to do battle with his opponent. 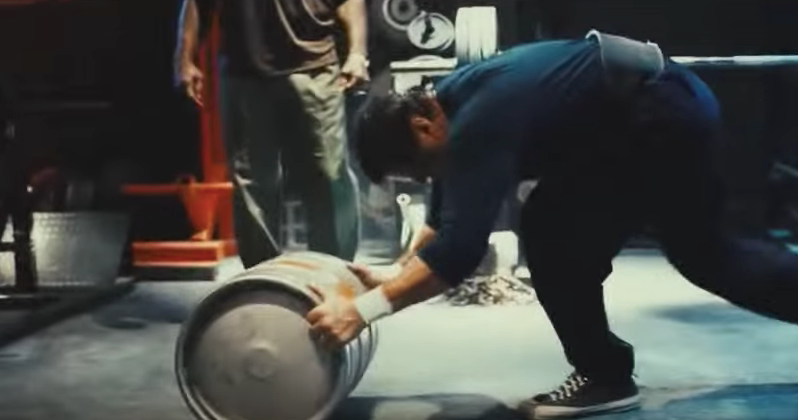 There’s something incredibly inspiring, and thumos-inflaming, about seeing a man transform from clumsy and out-of-shape, to skilled and fit. 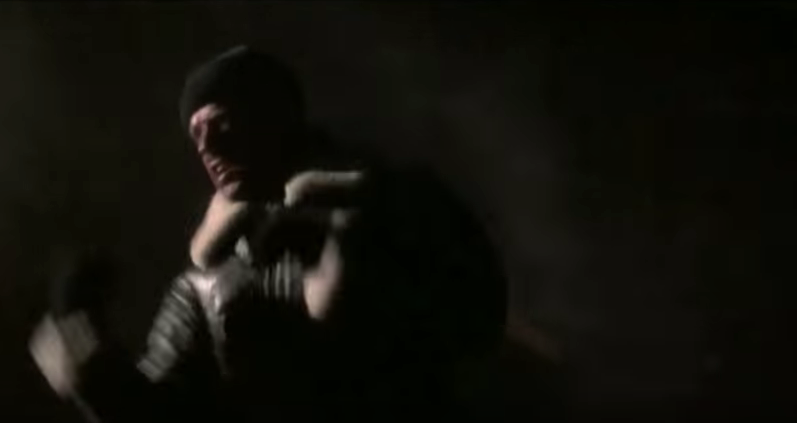 It’s a potent symbol of the kind of metamorphosis we all often hope to make in our lives. 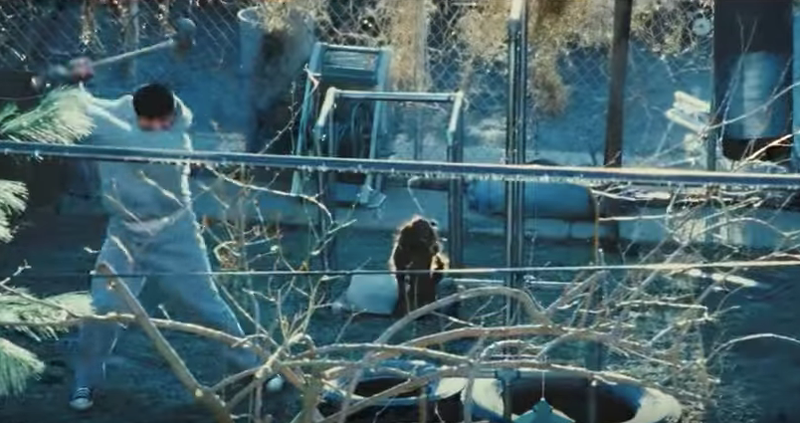 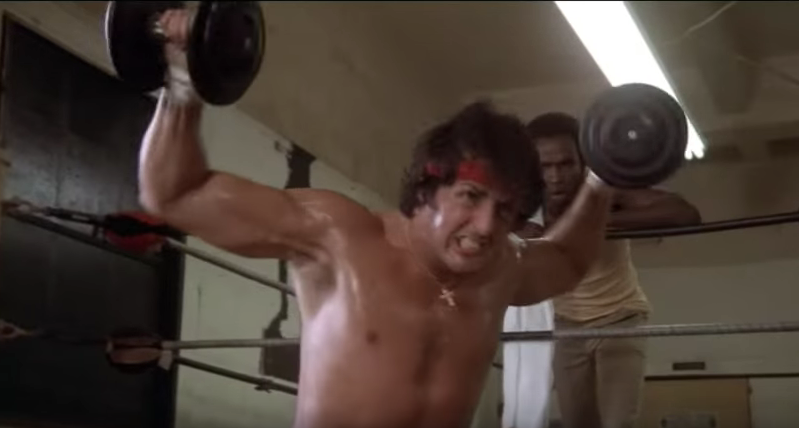 Of all the cinematic training montage scenes that have ever been, those from the Rocky films are unarguably the best. 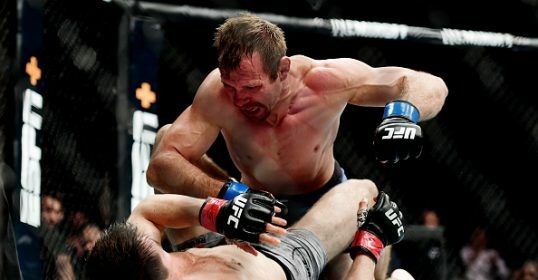 Featuring a perennial underdog who always manages to finds scrappy ways to beat the odds, and always gives it all he’s got, they never fail to light a fire in your belly. 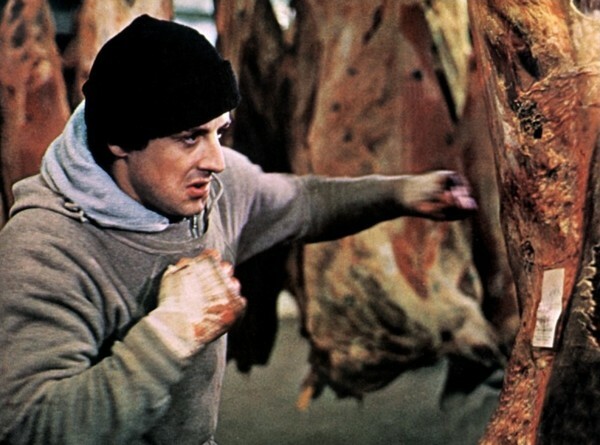 Fictional though the Rocky character is, his training regimen provides real inspiration on tough, often creative ways to get fit and strong — no-excuses exercises that frequently employ free or improvised equipment and could be incorporated into your own routine (make sure you get the butcher’s permission before you go punching his carcasses of meat, though). 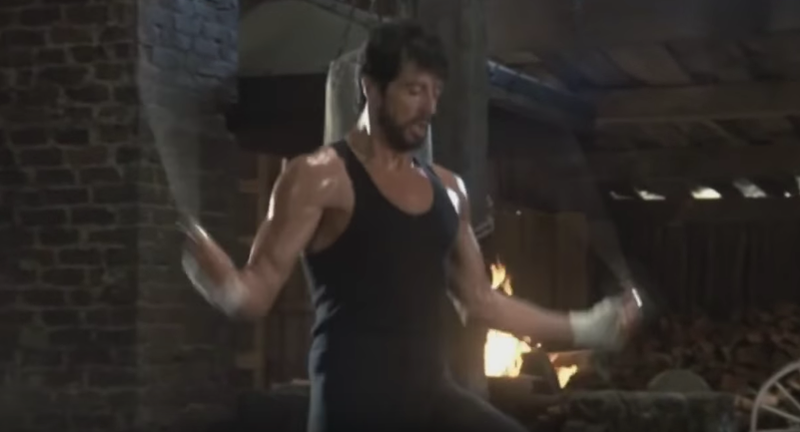 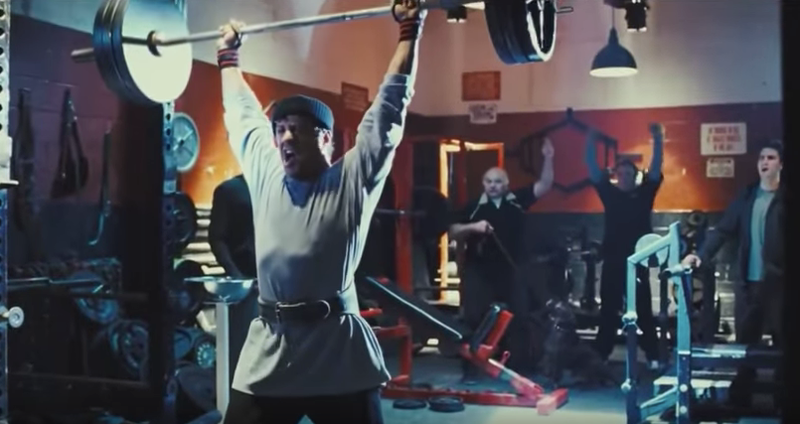 Below we break down every single exercise from the training montages featured in the first, second, third, fourth, and sixth Rocky installments (in Rocky V, Balboa takes a break from fighting himself to train another boxer). 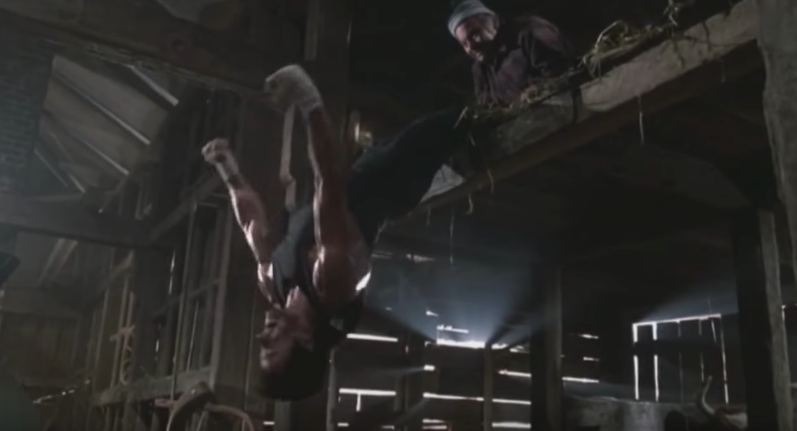 Some of the exercises remain consistent across the various films, while each installment also incorporates new moves and methods. 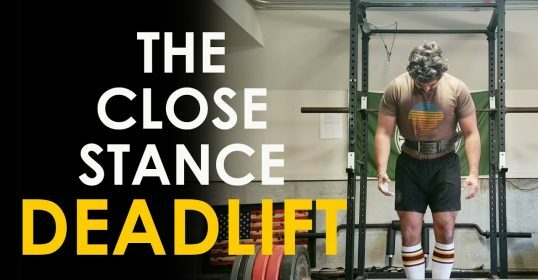 Use this complete library of exercises to get pumped, add some variety to your workouts, and start really training like a champ. 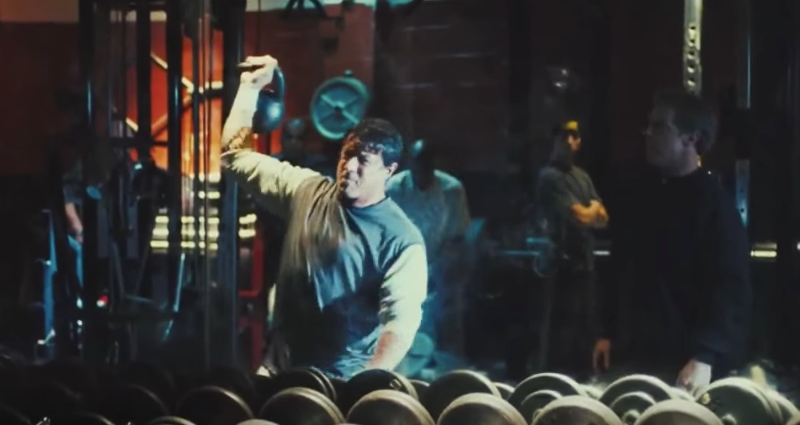 The training montage that sets the archetype for all others. 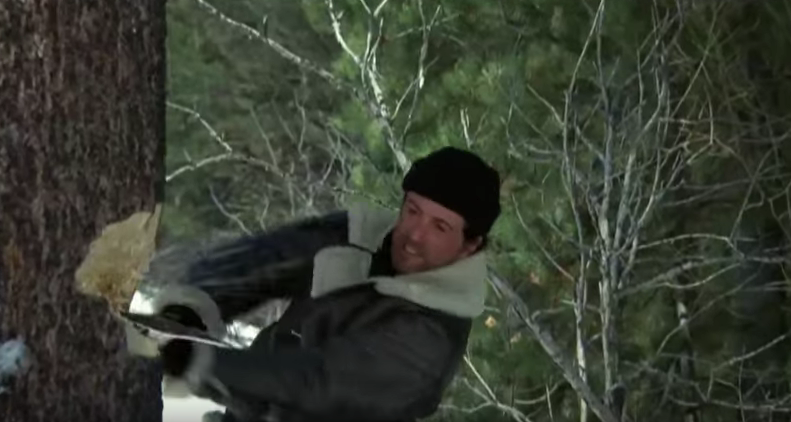 We’re introduced to Rocky Balboa, a kind-hearted blue collar bloke who makes a living collecting debts for a loan shark on the mean streets of Philly. 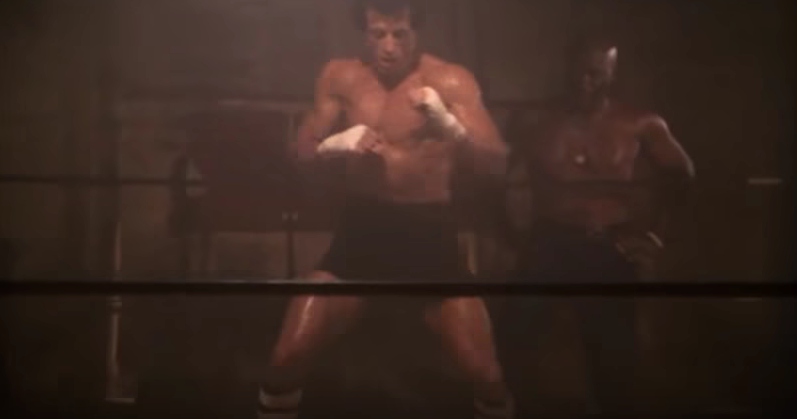 The small-time club fighter gets a chance to face off against heavyweight boxing world champion Apollo Creed. 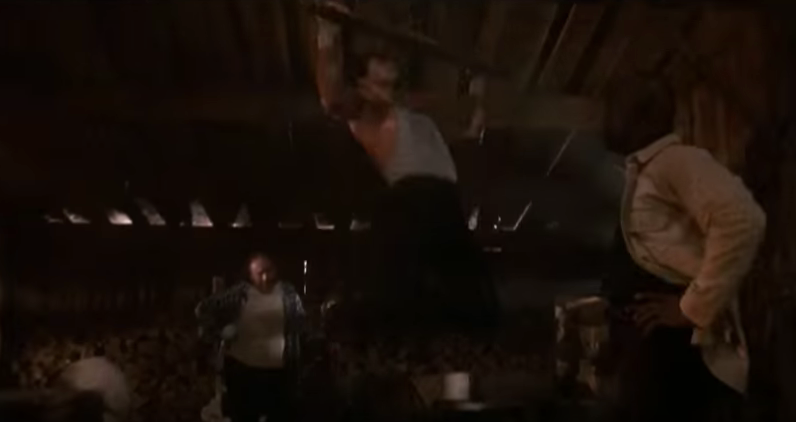 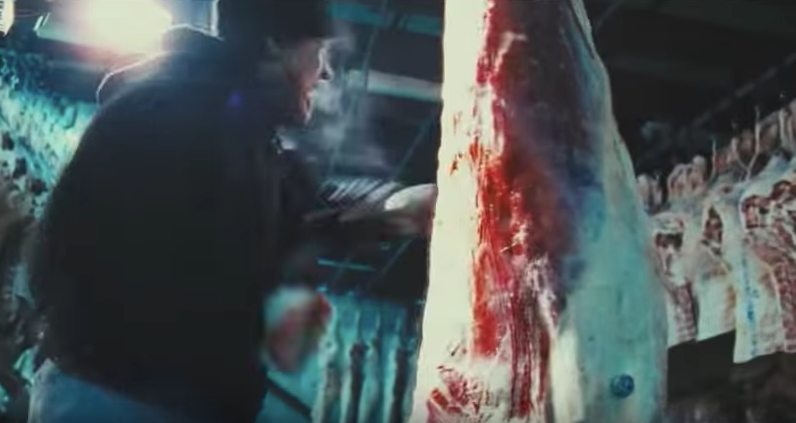 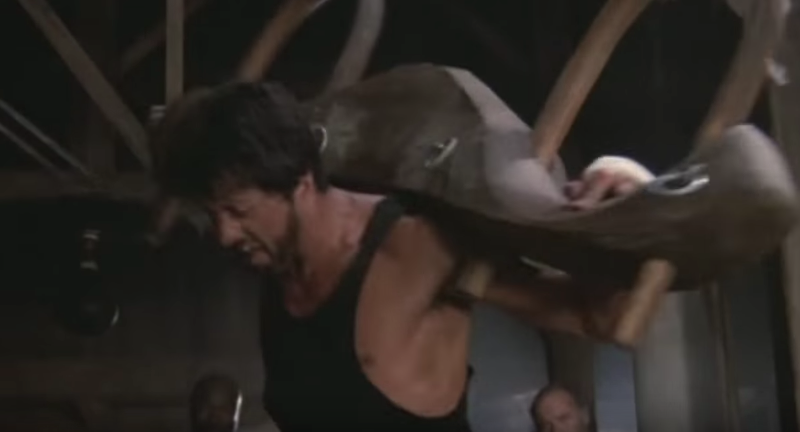 Rocky doesn’t have the kind of training resources his opponent does, and makes do with what he’s got — running through scrap yards and wailing on slabs of beef. 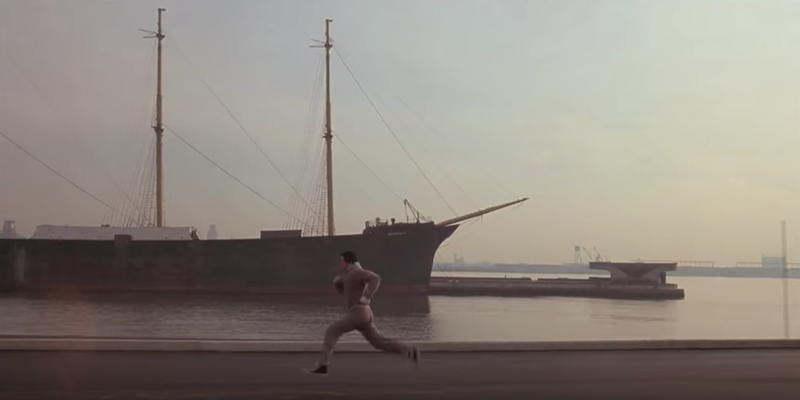 Rocky’s journey into fighting shape is accompanied by the greatest training montage song of all time — “Gonna Fly Now” — and culminates with one of the most famous scenes in cinema: a run up the steps of the Philadelphia Museum of Art (an exercise that was part of the real-life training routine of Joe Frazier). 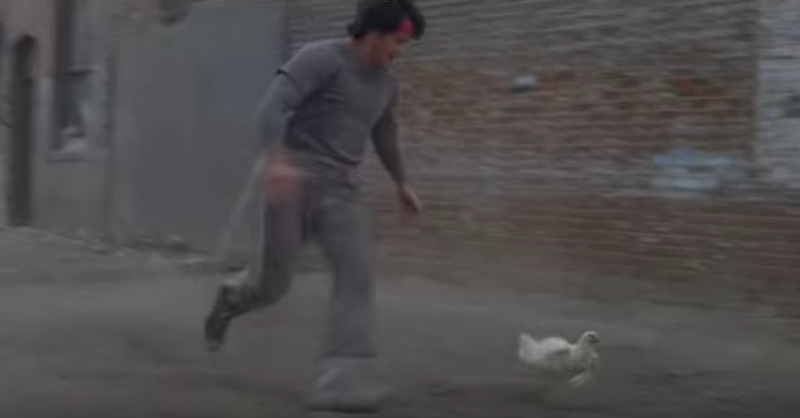 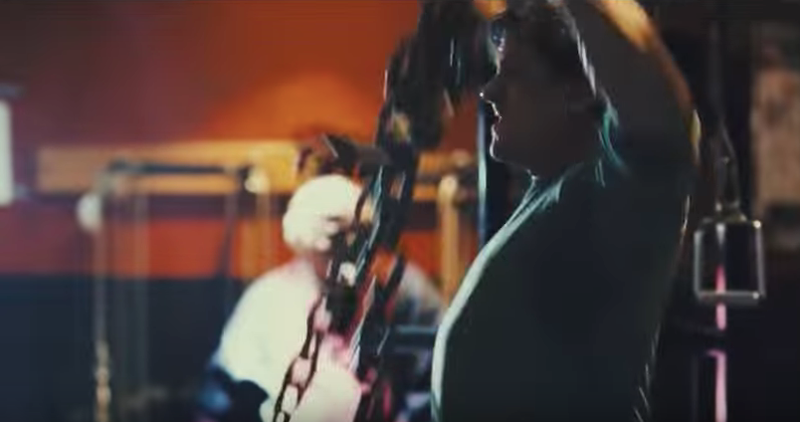 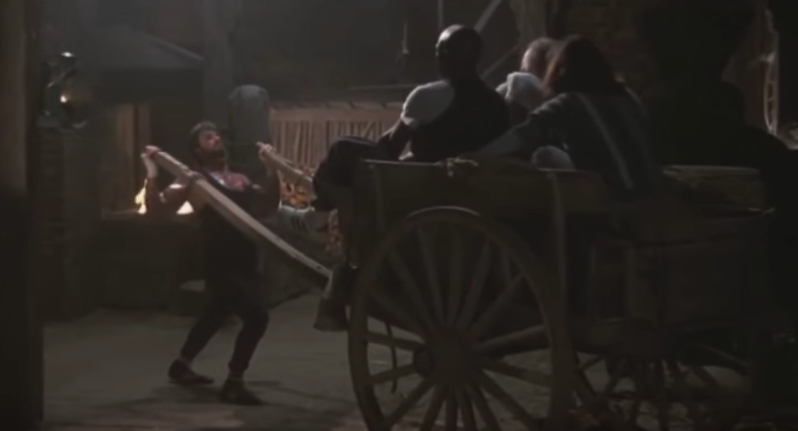 In Rocky II, our underdog protagonist gets a shot at a rematch with Apollo Creed, and again trains in scrappy fashion — continuing to improvise his exercises (shouldering a log; chasing a chicken), while adding some weight work as well. 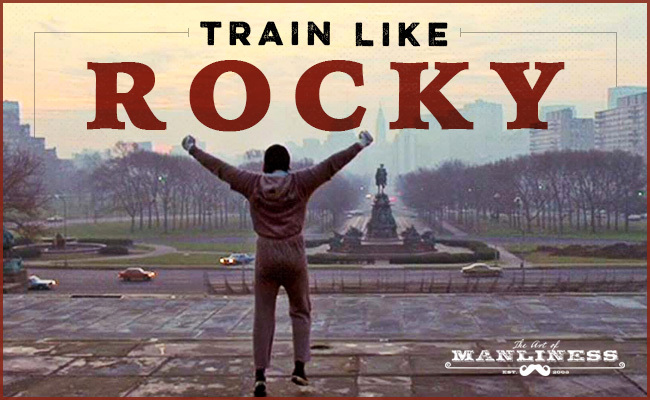 Rocky also does an encore run that once more culminates atop the art museum steps, this time joined by a crowd of kids cheering on their hometown hero. 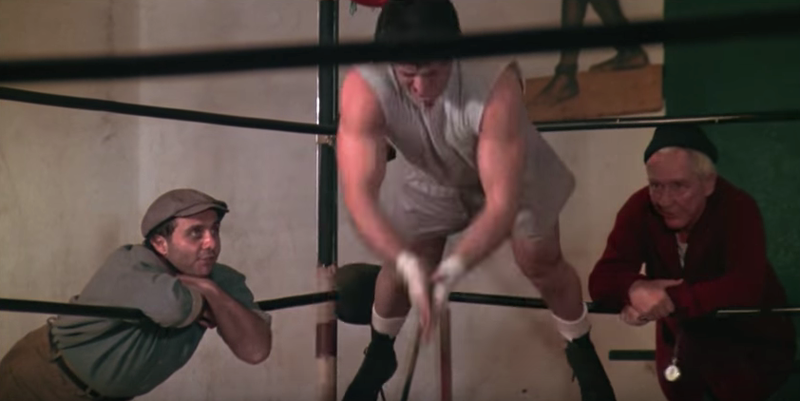 In Rocky III, Balboa is no longer an underdog in the traditional sense; having successfully defended his title ten times, he’s garnered significant fame and wealth. 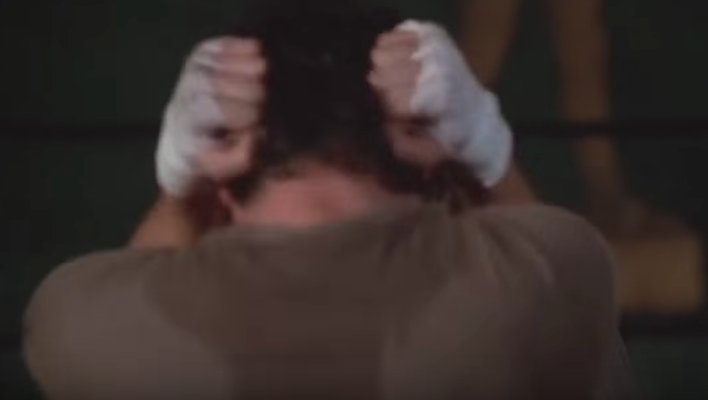 But when he learns that his manager hand-picked lesser opponents for his fights and that he hasn’t truly been squaring off against the best, he decides to take on a young, hungry, powerful contender — James “Clubber” Lang. 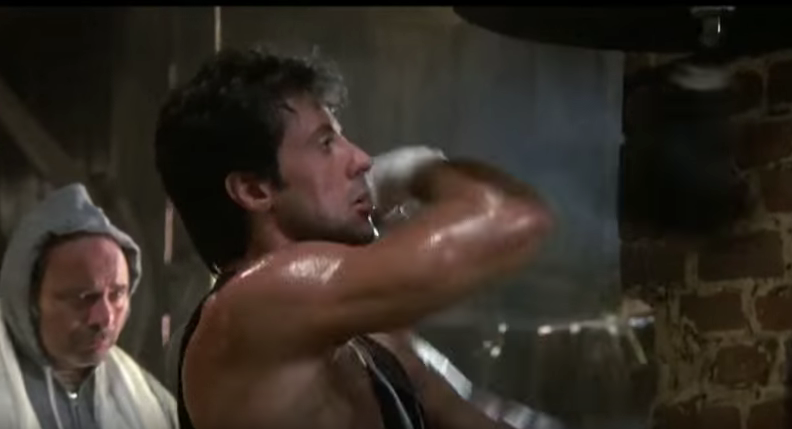 Balboa’s new challenge becomes sloughing off the softness he’s accumulated from being on top, and trying to find some of the old hunger himself. 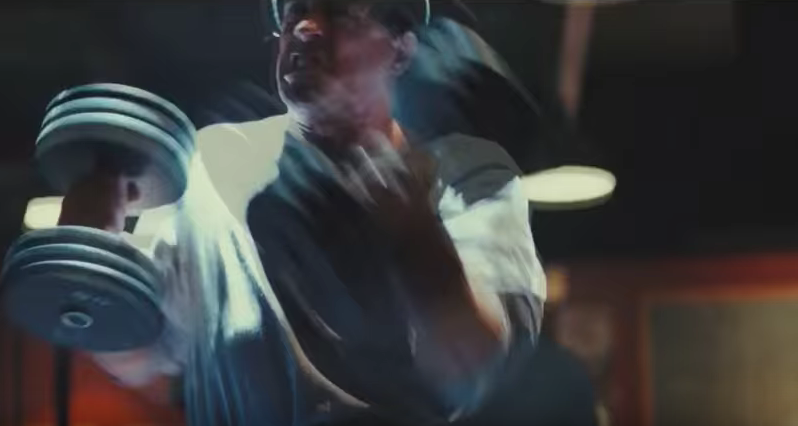 At first he fails, and his unfocused training regimen results in a loss to Lang. 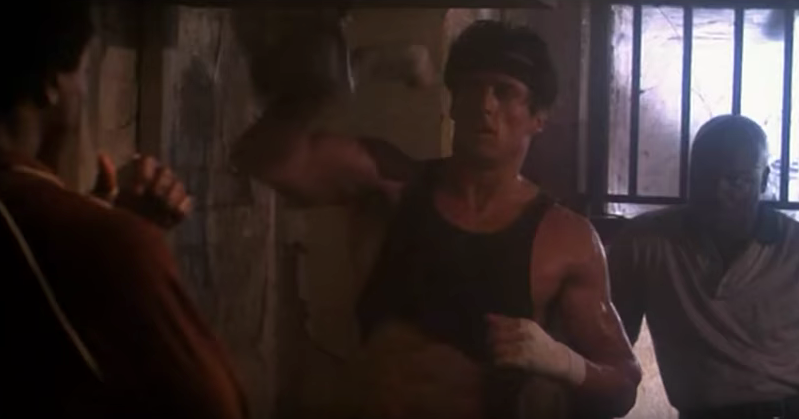 Balboa must then deal with not only the fallout of this failure, but the death of his manager. 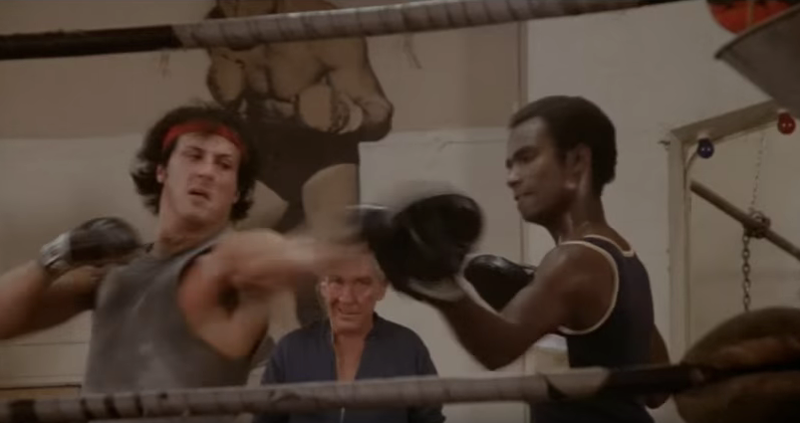 It turns out to be Rocky’s former rival, Creed, who helps him to again find his fighter’s heart. 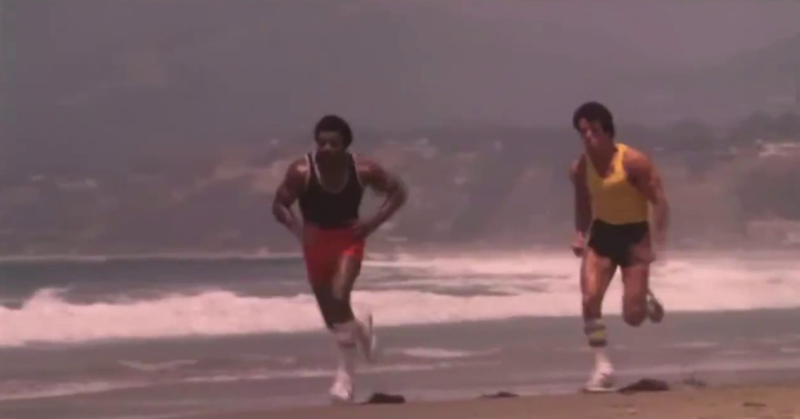 Creed trains Rocky with classic boxing exercises, while putting a new emphasis on speed, footwork, and agility, and taking his runs off the urban pavement and onto the beach. 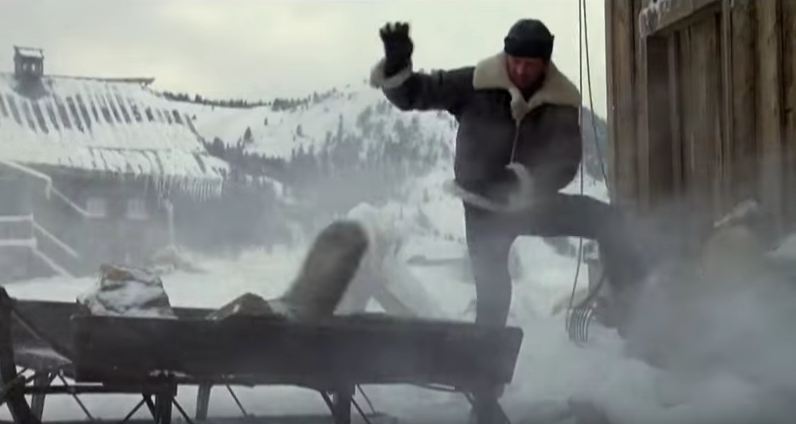 Rocky IV is a study in contrasts. 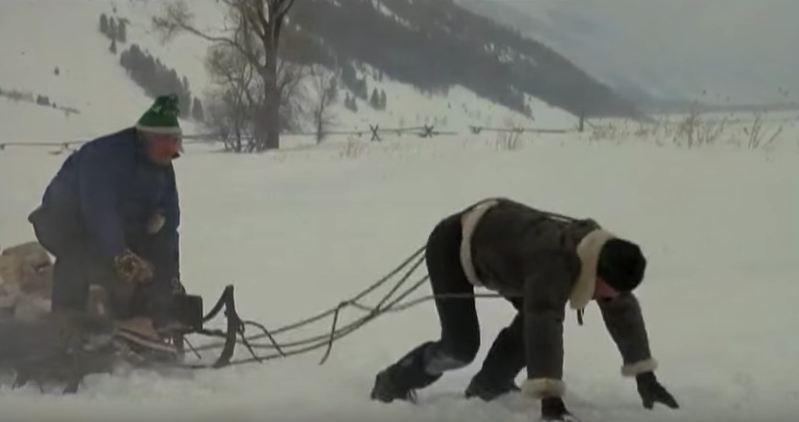 The individualistic, democratic United States vs. the communist Soviet Union. 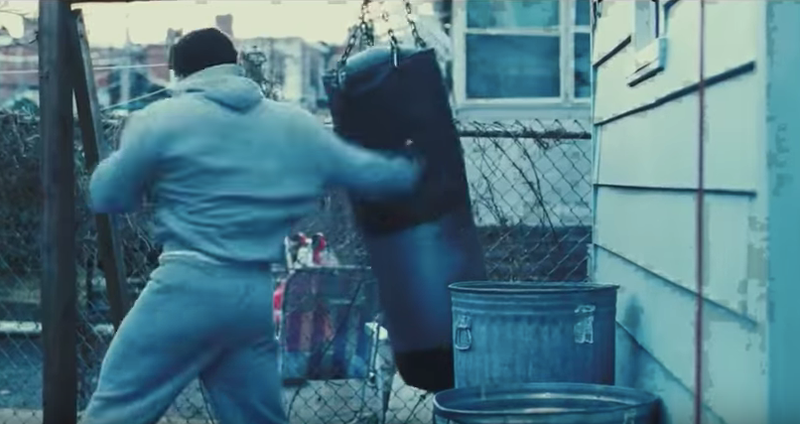 A kind-hearted boxer vs. an unfeeling robot. 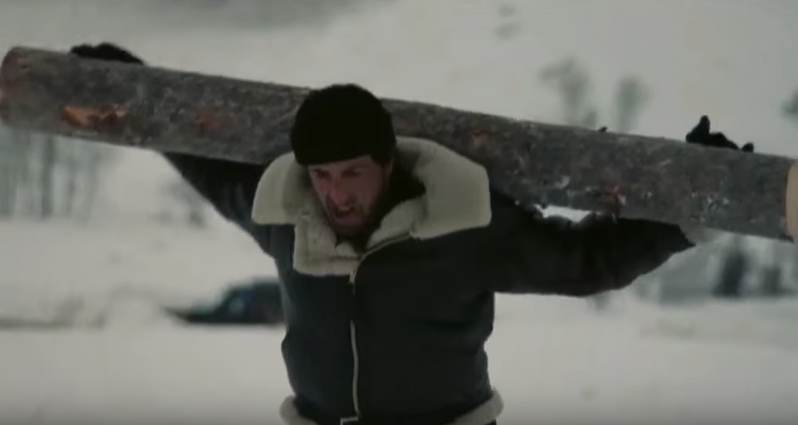 And an old school, back-to-nature training regimen vs. a modern, high-tech one. 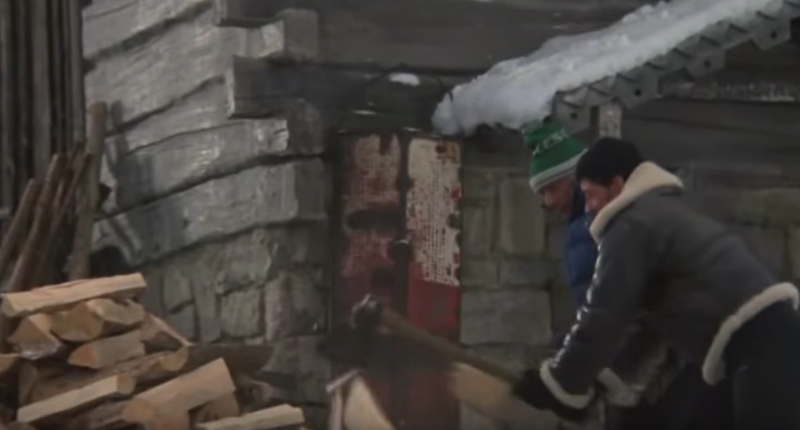 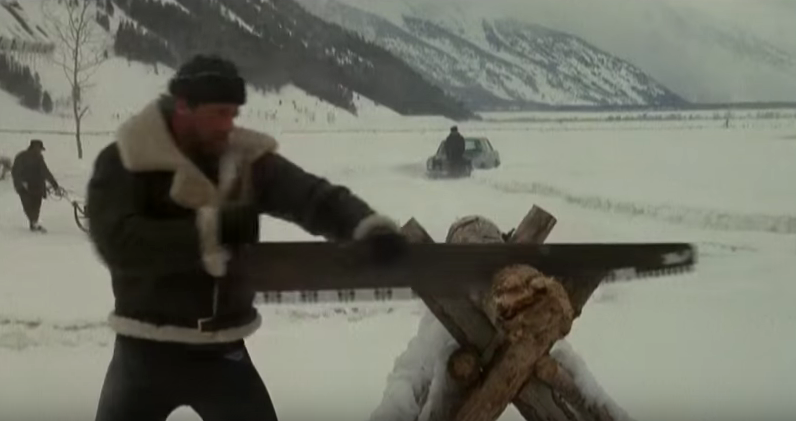 While Rocky’s opponent, Ivan Drago, uses all kinds of experimental gizmos (and drugs) to get in shape, Rocky sets up camp on a remote Russian homestead and goes full-on wild man, creatively utilizing what’s at hand to get “farmer strong.” The stakes of the fight — a chance to symbolically establish national superiority and avenge Creed’s death at Drago’s hands — call forth the longest training montage in the series, an epic sequence that requires two parts to fully encapsulate. 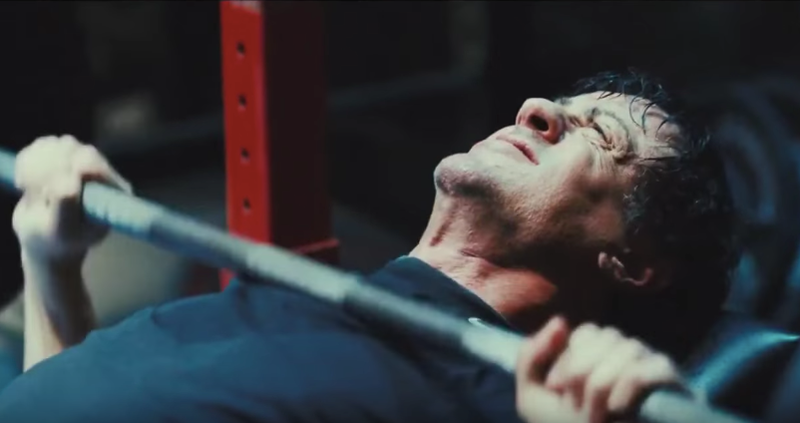 “To beat this guy, you need speed — you don’t have it. 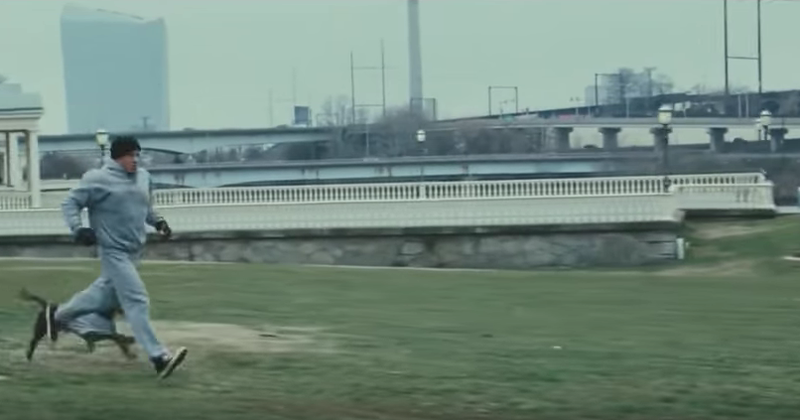 And your knees can’t take the pounding, so hard running is out. 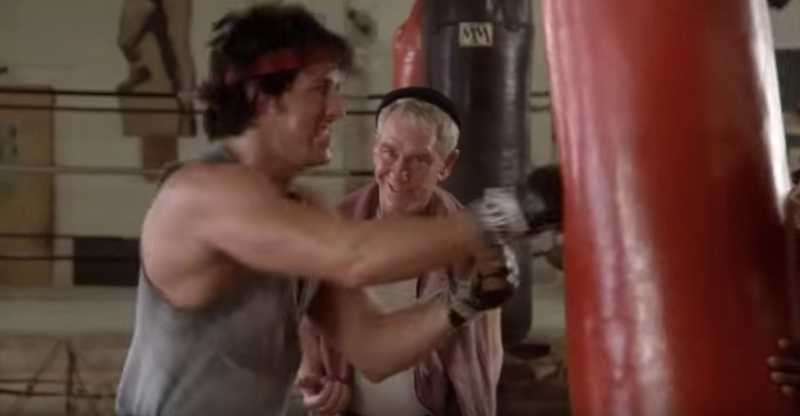 And you got arthritis in your neck, and you’ve got calcium deposits on most of your joints, so sparring is out. 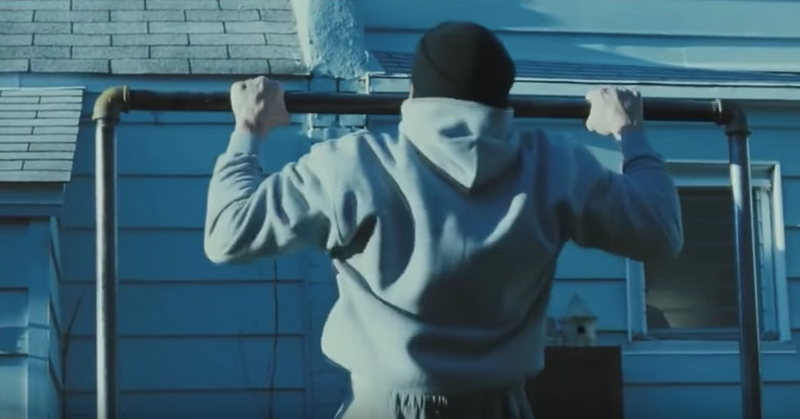 In order to build some “hurtin’ bombs,” Rocky really hits the weights hard and incorporates compound barbell lifts into his more traditional boxing exercises. 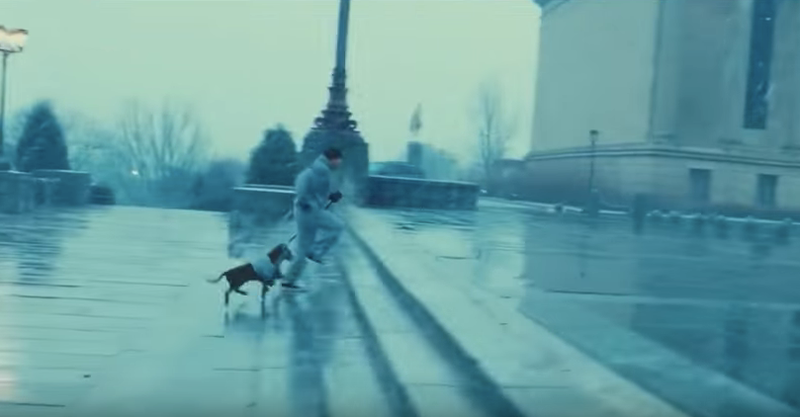 Things come full circle as “Gotta Fly Now” (which went missing in Rocky IV) returns, and Rocky once more ascends the steps of the Philadelphia Art Museum.